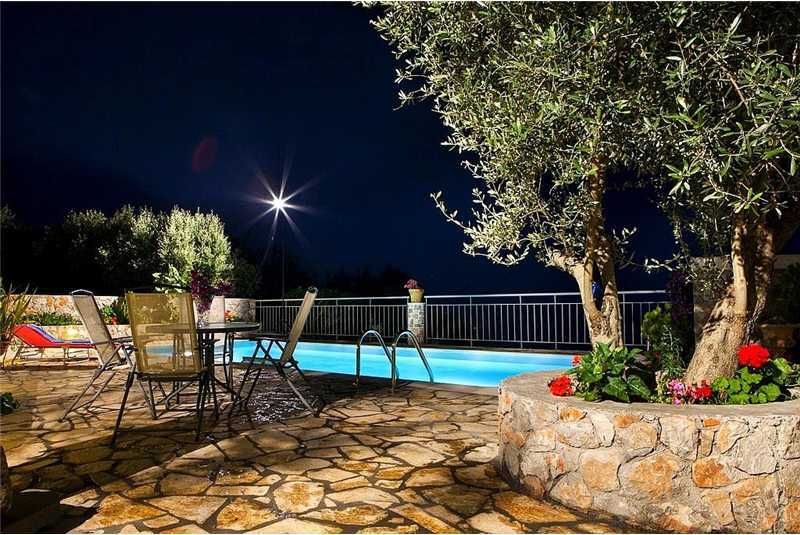 Villa Anna is a two bedroom villa set in an idyllic and peaceful location overlooking the glistening Ionian sea yet only a short drive to the sleepy village of Assos and the bustling harbour of Fiscardo. Taking its name from the owner who was born and raised in Kothreas, Villa Anna reflects style and elegance. The villa was completely refurbished recently adding some modern features although taking care to retain its traditional Greek style. 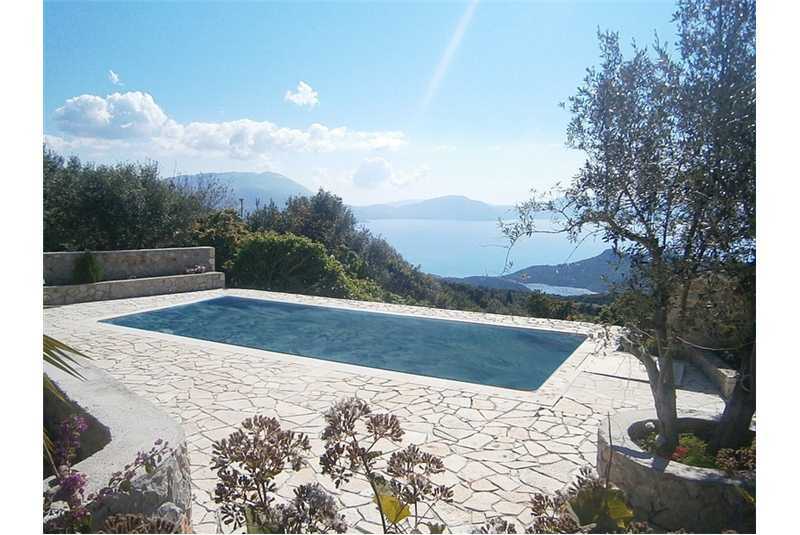 This magnificent villa enjoys almost complete seclusion with its superb outdoors. Bordering the terraces by the swimming pool at the front and all around is extensive, colourful gardens on various levels, which provides a pleasant blend of carefully landscaped plants and shrubs.Alternatively, you may choose to recline on a comfortable lounger beside the lapping waters, from where the eye is drawn to a point where the edge of the pool meets the horizon extending from the Gulf of Myrtos, the Palliki, Assos, the venetian castle, Ionian sea to Lefkada, stretching out towards the magnificent Ionian sea. The large swimming pool sparkles alluringly in the sun, an incessant invitation to a refreshing dip. 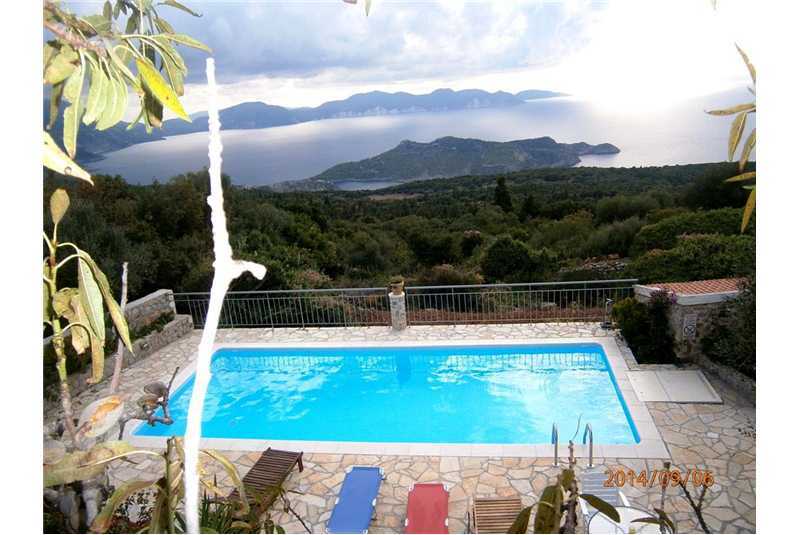 Villa Anna is situated in Kothreas, Fiscardo, in a perfect location just a short drive to the sleepy village of Assos which is 7km from the villa or the bustling harbour of Fiscardo is around 8km. You will be spoilt from choice from selection of tavernas serving fresh local produce and local Robola wine. If you choose to dine closer to home the popular taverna Makis is a short stroll from Villa Anna around 1km. Built in a rustic but contemporary style, over two floors, the atmosphere of the original villa has been retained, whilst providing every modern comfort in its refurbishment. The house is made of stone construction retaining its cool in the sizzling summer months. The main entrance leads into the spacious lounge and dining room with comfortable seating, tv and satellite tv. The villa is fully air conditioned. The two double bedrooms with splendid views share a large family bathroom. The fully equipped kitchen has everything you need in a modern kitchen. Outside the extensive terraces and gardens is where you can enjoy the specular views at every angle whilst barbecuing in the evening sun. 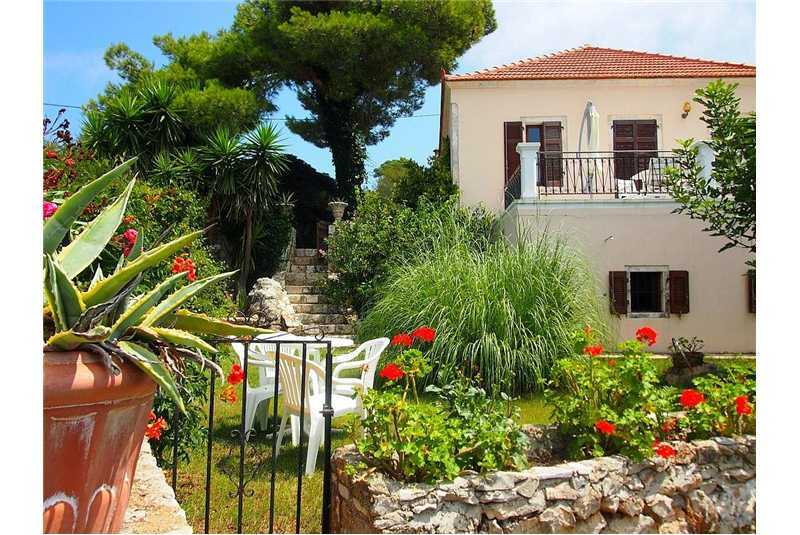 Villa Anna is set in 4 acres of land and with incredible sea views you will not want to leave. Flexible changeover day and duration holidays are available, please call for more information. 10% discount available on 2 persons travelling or durations more than 7 days.